Here's a great blog for you to check out. He blogged us, so we blog him. Keith Strohm is a dedicated neoCath and sf fan, just like your truly. 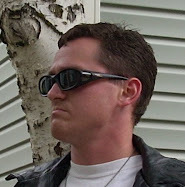 Go check out his blog and tell 'im The Sci Fi Catholic sent cha.